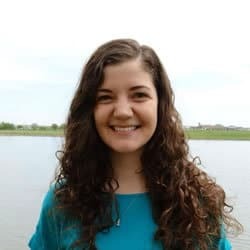 Emma grew up in Greenville, Wisconsin and earned her Bachelor’s degree in biomedical sciences with a chemistry minor from the University of Wisconsin-La Crosse. During her undergraduate career, she participated in research and volunteered both at a hospital and a pregnancy crisis center. 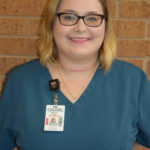 Emma graduated from UAMS in May 2015. She is currently working as a general genetics counselor at St. Vincent Hospital in Green Bay, Wisconsin. Lindsey is a former Leadership Education in Neurodevelopmental Disabilities (LEND) fellow and graduated from UAMS in 2010. There, she co-chaired a non-profit organization dedicated to promoting health literacy in international Latino communities. This volunteer work spurred her interest in public health, which ultimately led her to a second master’s degree. She received her MScPH from Charité Universitätsmedizin in Berlin, Germany, during which time she interned at the Genetic Diagnostic Commission of the Robert Koch Institute. Returning to the United States she completed the Christine Mirzayan Science & Technology Policy Fellowship at the National Academy of Sciences. 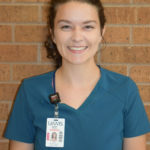 She returned to clinical practice as a Certified Genetic Counselor at the University of Texas Health Science Center at San Antonio Department of Pediatrics, Division of Hematology/Oncology. 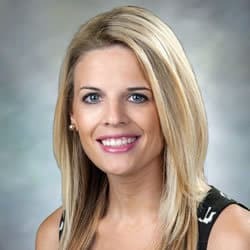 In addition to her work in pediatrics, she is currently working with the GRACIAS Texas (Genetic Risk Assessment for Cancer In All South Texas) program to identify at-risk individuals in South Texas. GRACIAS Texas provides genetic risk assessment, counseling, testing, and screening for both insured and uninsured individuals free of charge. She is currently serving as the Chair of Legislative Affairs for the Texas Society of Genetic Counselors.